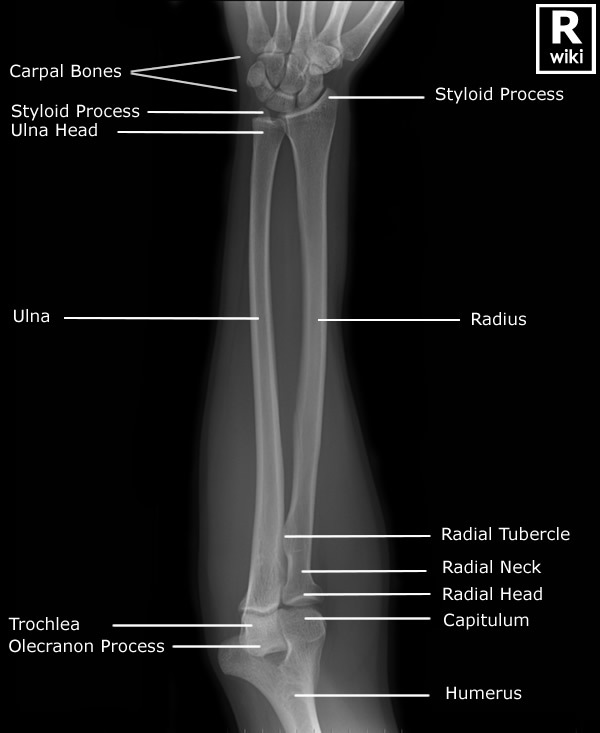 Frontal radiograph of the forearm with labels. 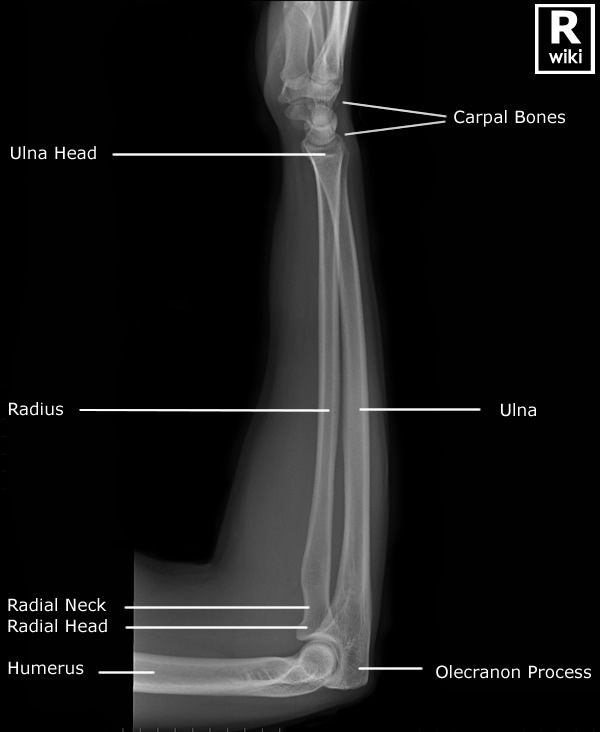 Lateral radiograph of the forearm with labels. See some great forearm fracture cases here.